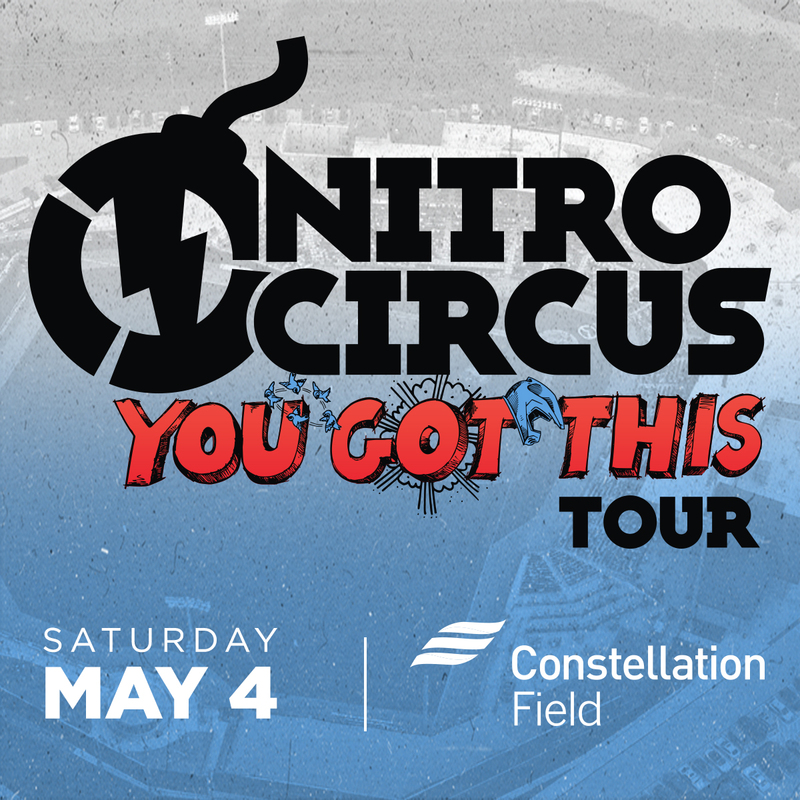 SUGAR LAND, TX— Nitro Circus, a global leader in action sports entertainment, will be performing its famed You Got This show on May 4 at Constellation Field. It will be Nitro Circus’ only 2019 stop in Texas for the You Got This tour. Tickets go on sale February 15 and can be purchased online by calling the TDECU Ticket Office at 281-240-448. With no roof there are no limits. This huge stage set features the Giganta ramp, now with its biggest takeoff yet, that launches riders five stories into the air while the FMX riders will be flying 75 feet through the air from take-off to landing. The contraptions team is in the lab cooking up crazy new monstrosities for Nitro’s daredevils to attempt to jump through the air. See the electrifying show in action. Nitro Circus, a global sports entertainment leader, creates electrifying live events and unbelievable original content that at once exhilarates, captivates and inspires thrill-seeking fans worldwide. Co-founded in 2003 by iconic superstar Travis Pastrana, Nitro Circus has since grown into a multiplatform phenomenon producing hit television programming, critically acclaimed documentaries and innovative digital offerings. That success gave rise to the Nitro Circus Live tour. Created in 2010, Nitro Circus has since travelled across the planet, playing to sold-out stadiums on five continents. The company introduced an innovative breakthrough in 2016 with the debut of Nitro World Games, completely rebooting action sports competition in the process and then raised the bar once again in 2018 with Nitro Rallycross, a rejuvenation of four-wheel motorsports. With over three million tickets sold to date, television programming that has aired in over 60 countries, more than 20 million engaged fans across its social media platforms and a burgeoning consumer products business, Nitro Circus is at the forefront of sports and entertainment. For more information visit www.nitrocircus.com.